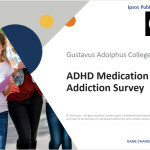 Leading up to the 51st Nobel Conference, Gustavus Adolphus College commissioned a nationwide survey of college students aged 18-24 to gauge their thoughts on the use of ADHD medications as study aids. Results indicate that many students use medications in the belief that it will increase their academic performance. Who Were the First Humans?, the 44th Nobel Conference at Gustavus Adolphus College, Oct. 7-8, will trace human history from its origins in Africa to modern times. Using modern genetic techniques as well as examinations of fossils and artifacts, world renowned scientists will explore how early humans spread around the world and how human behavior changed in the process. 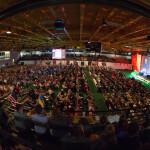 The schedule for the 44th Nobel Conference at Gustavus Adolphus College on October 7-8 has been announced. 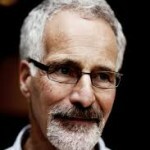 The title of this year's conference is Who Were The First Humans? 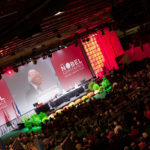 Gustavus Adolphus College is pleased to announce the six individuals who will give presentations at the 2008 Nobel Conference. The conference, titled "Who Were the First Humans?" is scheduled for Oct. 7-8. This year's presenters will be Robin I. M. Dunbar, Marcus Feldman, J.Wentzel van Huyssteen, Curtis Marean, Svante Paabo, and Dennis Stanford. 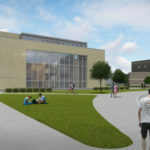 Registration is now available online for Gustavus Adolphus College's 44th annual Nobel Conference. 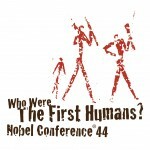 This year's conference, titled "Who Were the First Humans?" is scheduled for Oct. 7-8.